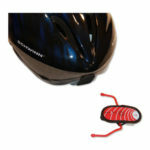 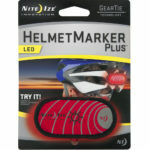 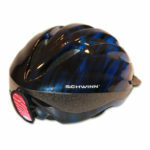 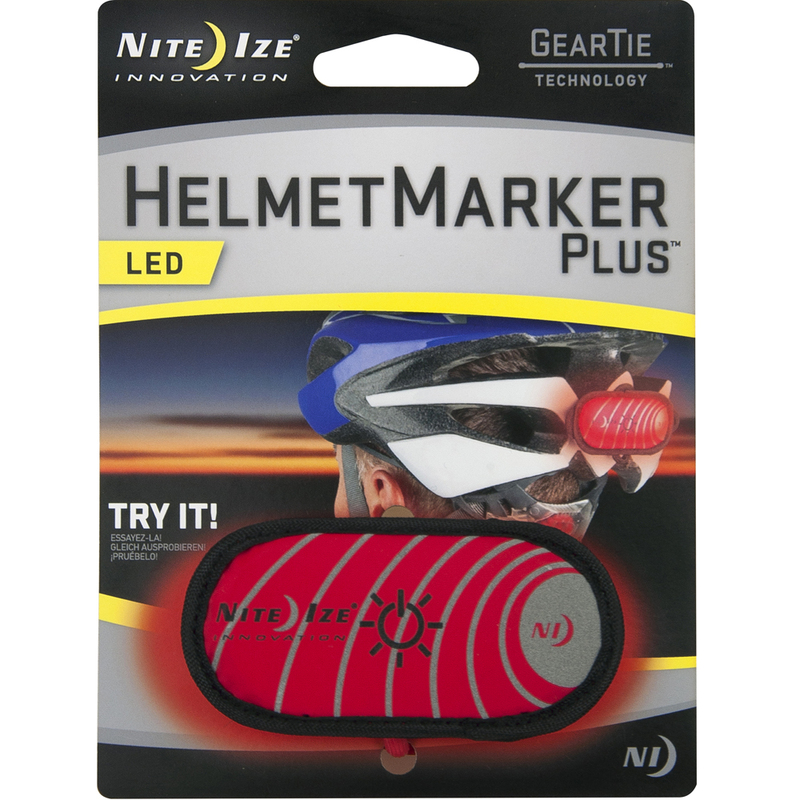 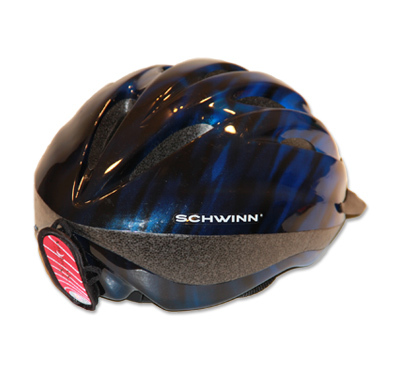 The Helmet Marker Plus is the safe way to ride at night so you can be seen from a long ways away. 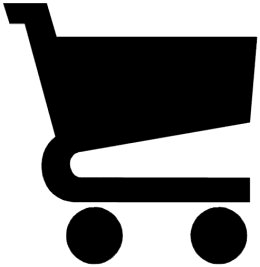 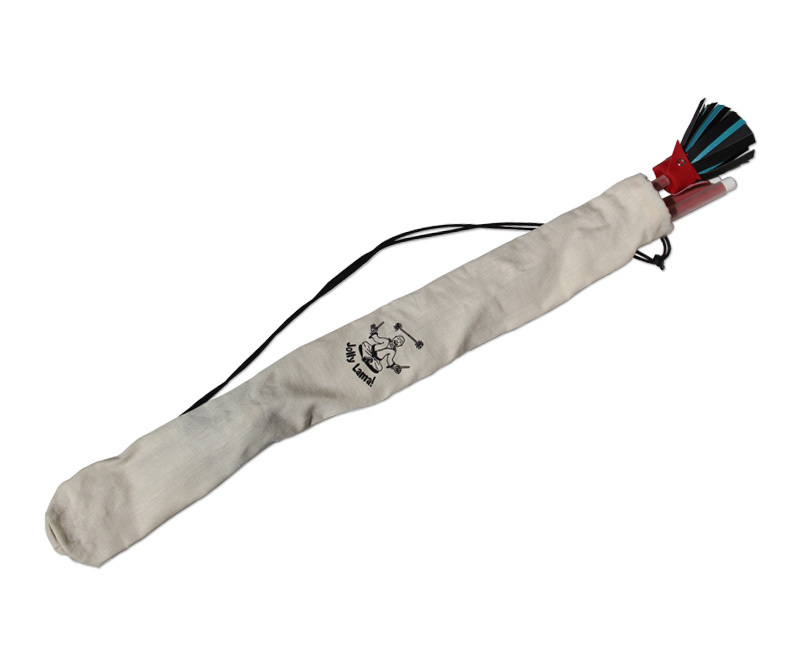 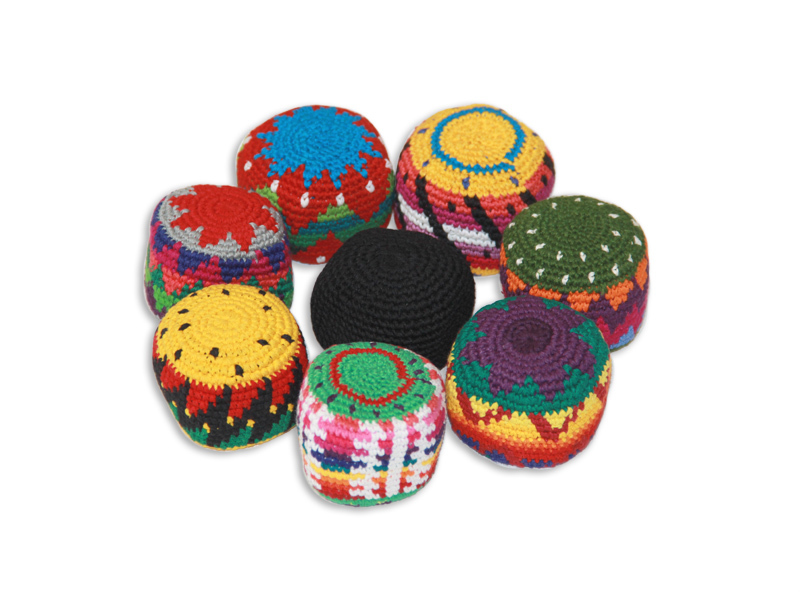 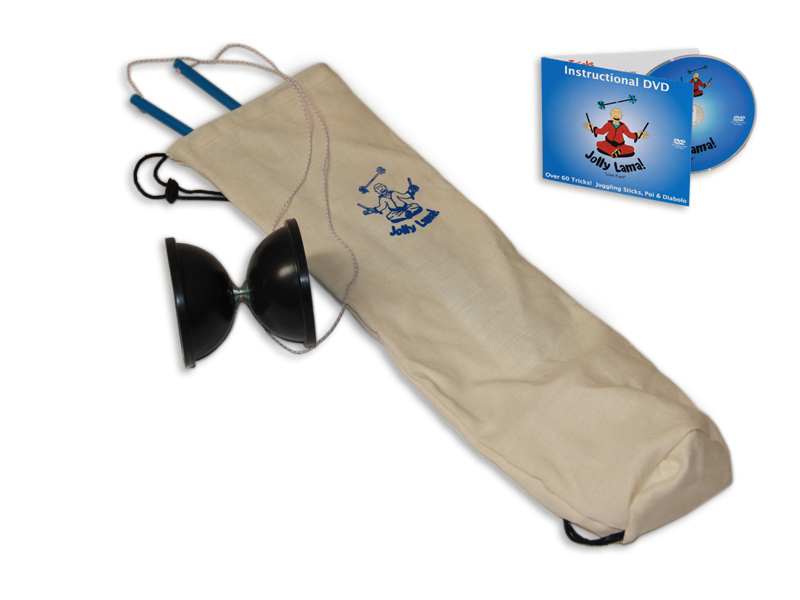 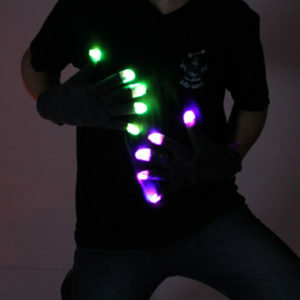 The LED light has two settings (Solid and Blinking) and operates with an easy squeeze. 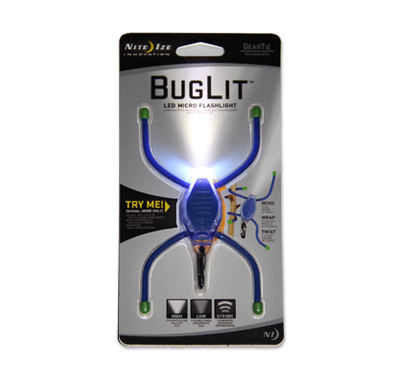 The ultra efficient lighting technology stays lit with just one CR-2032 batteries for well over 12 luminous hours and that life is extended the more you use the blinking setting. 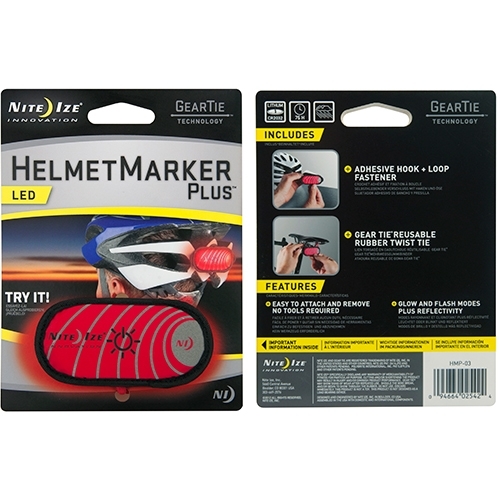 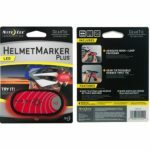 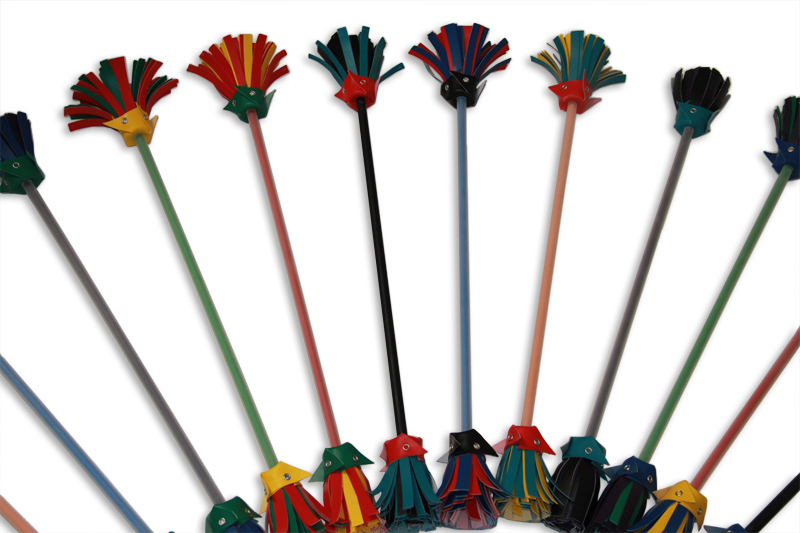 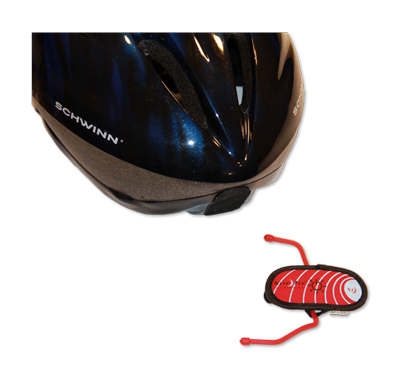 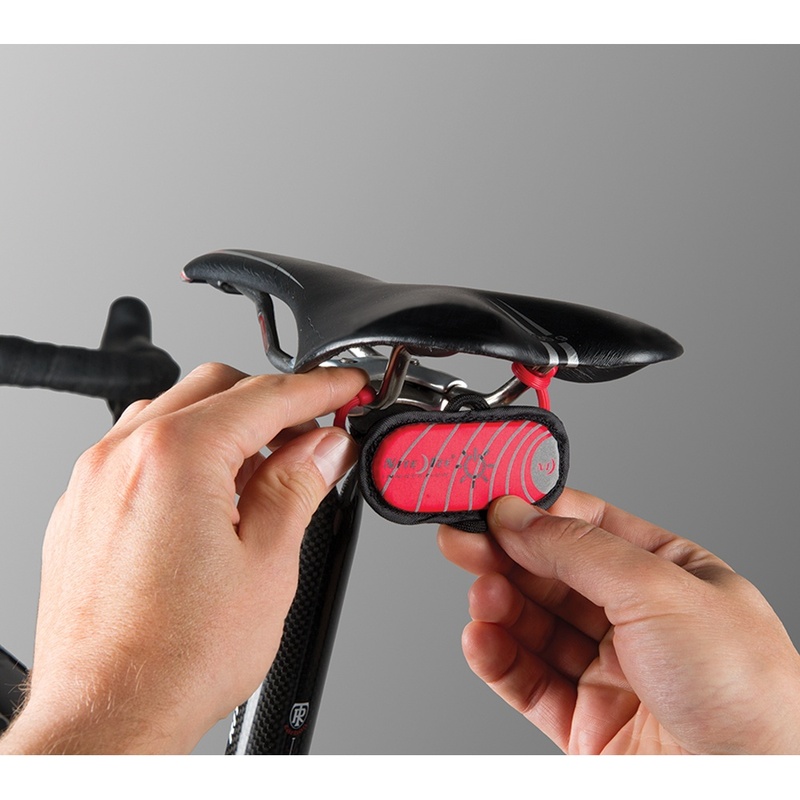 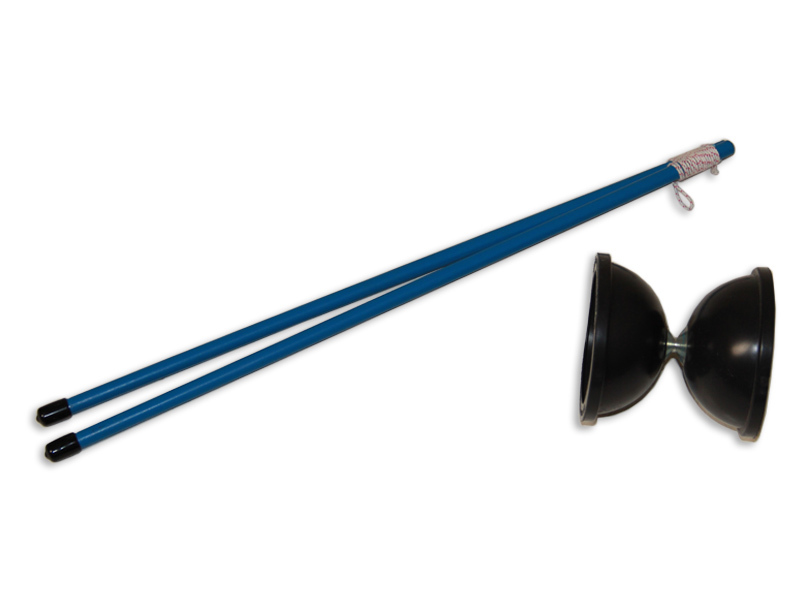 The best part about this Helmet Marker Plus is that it can be securely adhered to your bike helmet with a sticky-backed Velcro pad and you can remove the Helmet Marker Plus and apply it to your bike with the vinyl-coated grip ties that also come packaged. Battery included. 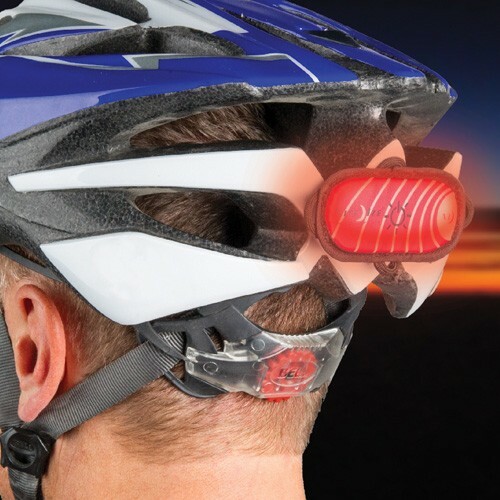 Helmet not included. 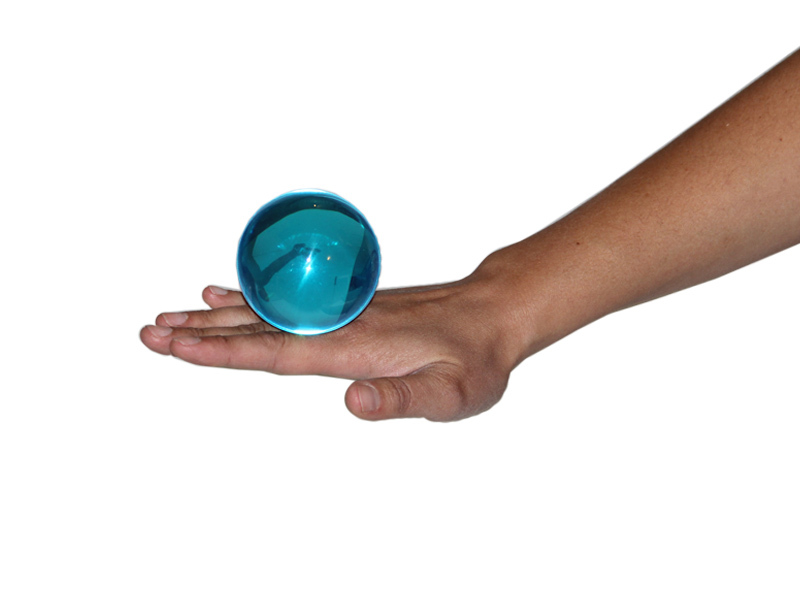 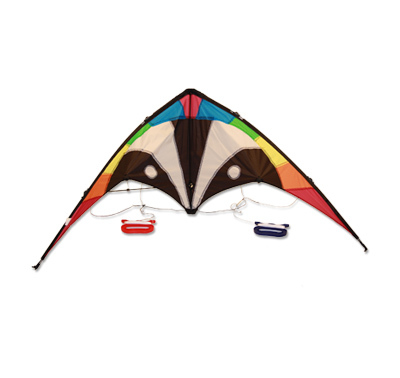 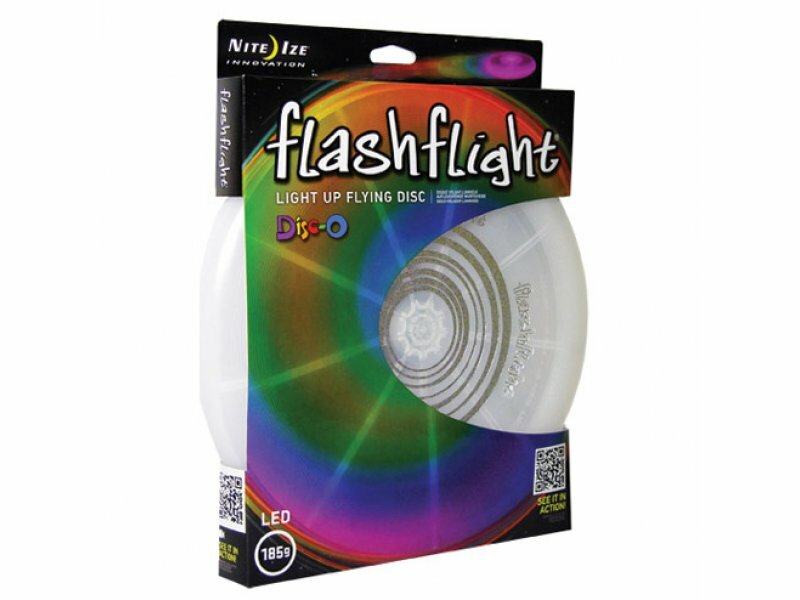 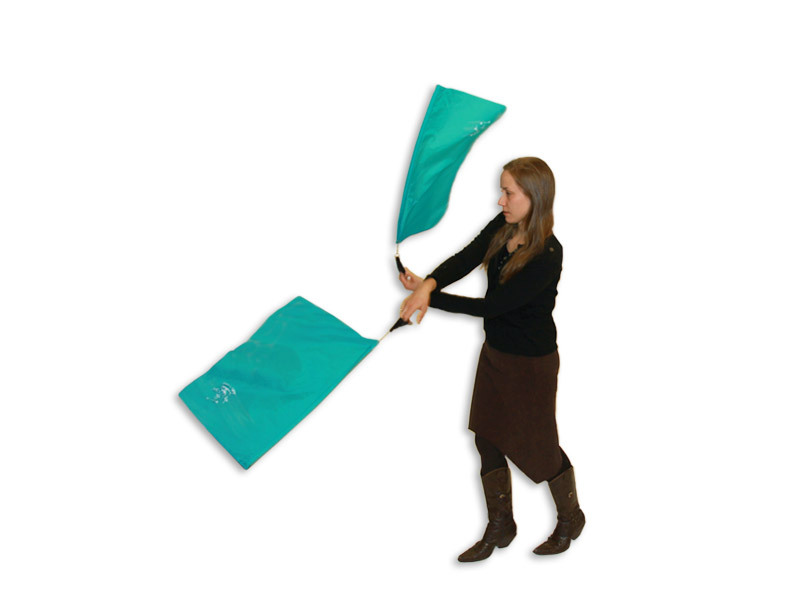 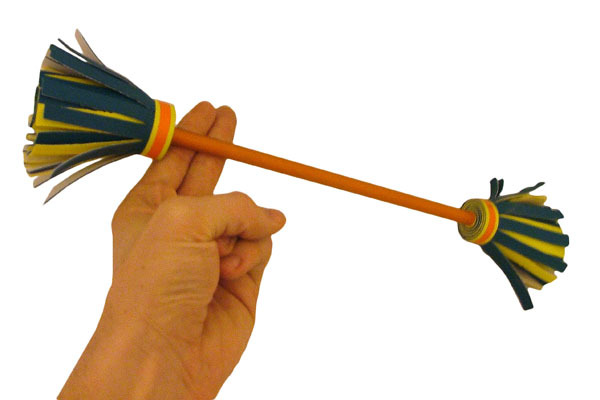 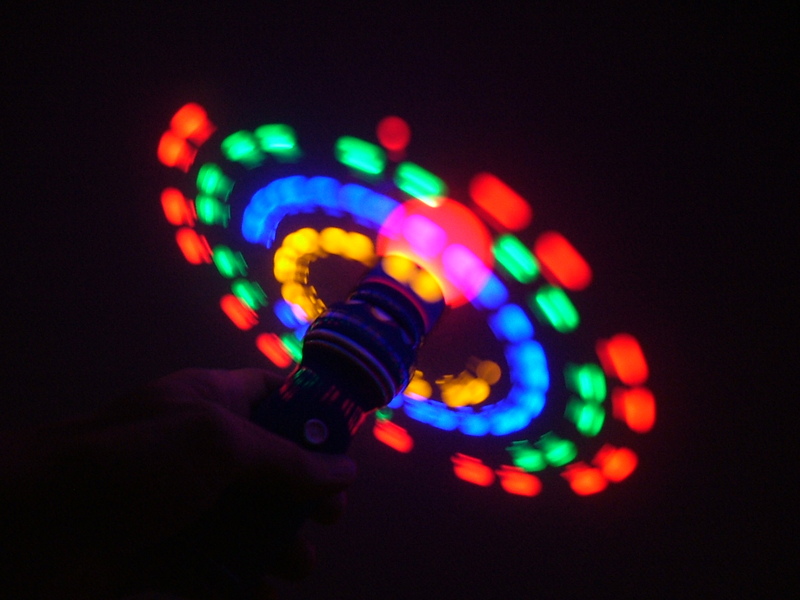 A flying disc you can play with in the dark that is really bright.